British Airways has just began operating direct, non-stop flights to Santiago four times a week. It’ll mean almost 15 hours in the air, but you can use the time to ponder why it was voted the world’s top destination for adventure at the World Travel Awards last year. This thin strip of land 2,650 miles long and, in places, only 150 miles wide, is home to some of the most extreme environments on Earth, from deserts to fjords to sub-polar islands. That said, Santiago itself has never been a natural destination per se. It’s usually somewhere visitors to South America stop en route to somewhere else. But its location, sandwiched between the Andes and the Pacific Ocean, make it an ideal base for day trippers looking to experience the country’s rich diversity. And its climate is pure Mediterranean; virtually rain-free between October and May. It’s surrounded by mountains which means bags of opportunities to get up high and enjoy the views. The most popular vantage point is Cerro San Cristóbal. Locals tend to hike up there or go by bike. The rest of us take a cab or use the funicular from Bellavista. Best time to go? In time to see the sunset – spectacular all lit up with the Andes in the background. Another is Cerro Santa Lucia (cerro means hill by the way). It’s located in the city centre but gives an amazing 360° view. It’s a stiff 20-minute hike and the stone steps can be a tad slippery though. 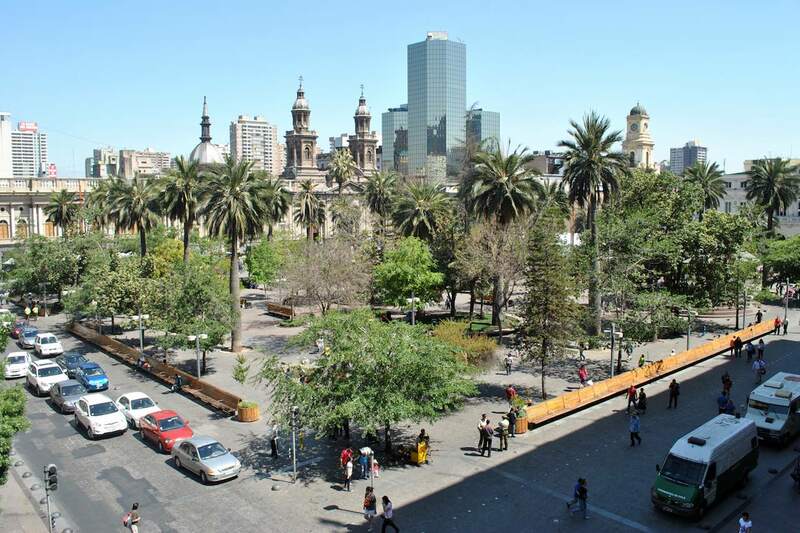 If you’re looking to experience the buzz of the place, go to the former city centre of Plaza de Armas where there’s always something going on. Street entertainment is a big deal here. The Catedral Metropolitana de Santiago is the place to go if you’re looking for somewhere to shelter and enjoy a quite jaw-dropping interior. 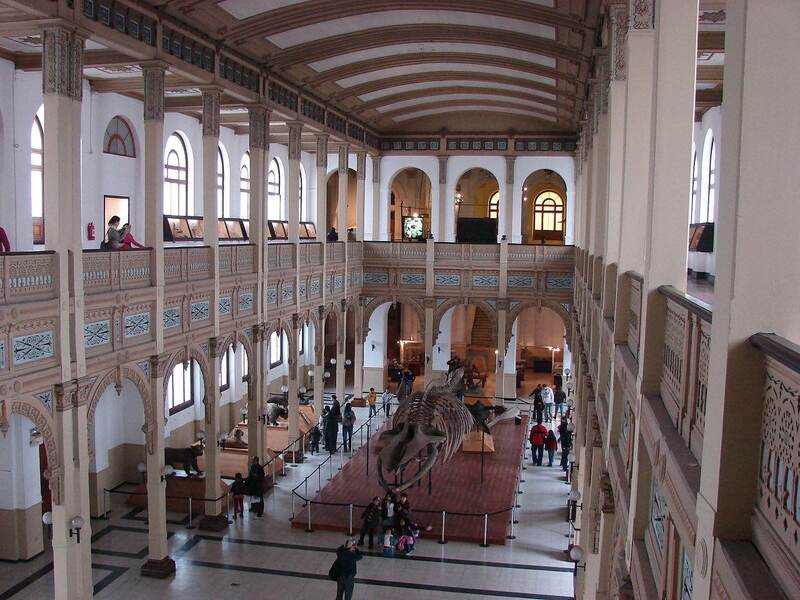 And the Museo Histórico Nacional is the place to go if it’s Chilean history you want and a good bet for dinner is Giratorio, with its rotating platform that gives you a slow, ponderous 360° view of the city. One of the city’s most beloved sons is the poet Pablo Neruda, so it’s no surprise that there are three museums devoted to him, all in his former homes. The most famous is La Chascona, wich translates as The Tangle-Haired Woman, named after his third wife Matilde Urrutia. If you only visit one, make it this, if only for the chance to see his nobel prize. The British Airways flights from London to Santiago began operation last month and became the airline’s lengthiest long-haul route overtaking after its 13 hours 50 minutes service to Buenos Aires. You’ll fly on its newest aircraft, the four-cabin Boeing 787-9 Dreamliner.